So you want to add a Facebook page popup to your website to grow your sales? Popup Maker provides you with all the necessary tools to have an attractive and highly converting Facebook page popup. 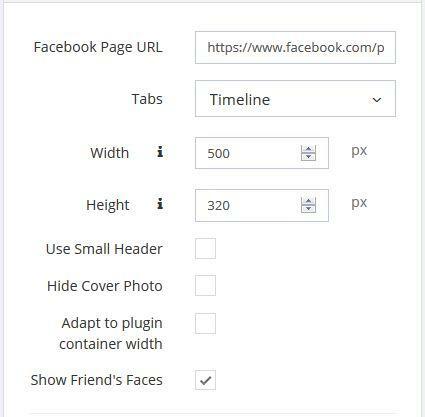 Facebook Page URL - Add the URL of the page you want to display in your popup. Width - Select the width of the page size to be shown inside the popup, in pixels. Height - Select the height of the page size to be displayed inside the popup, in pixels. 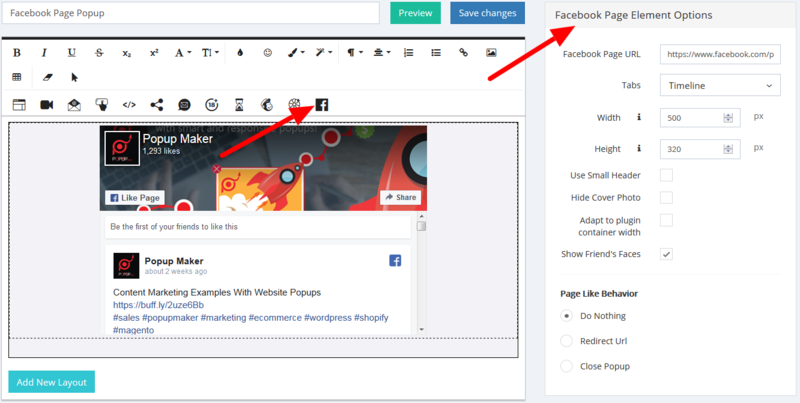 Use Small Header - Check this option to make the header of the page smaller in your popup. Hide Cover Photo - The cover image of the page won&apos;t be shown if this option is checked. Adapt to plugin container width - If no sizes are mentioned in the Width and Height sections, the popup size will be counted according to the plugin container. Show Friends&apos; Faces - Check this option if you want to show the images of the people who have liked the page. Do Nothing - No action will take place after the user likes the page. They should have to close the popup themselves. Redirect URL - The users will be redirected to the page, which URL you mention in the according field. 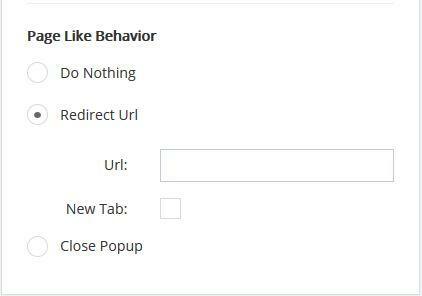 You can select to open the redirected URL in a New Tab, not closing the current one. Close Popup - The popup will automatically close after the page in the popup is liked.